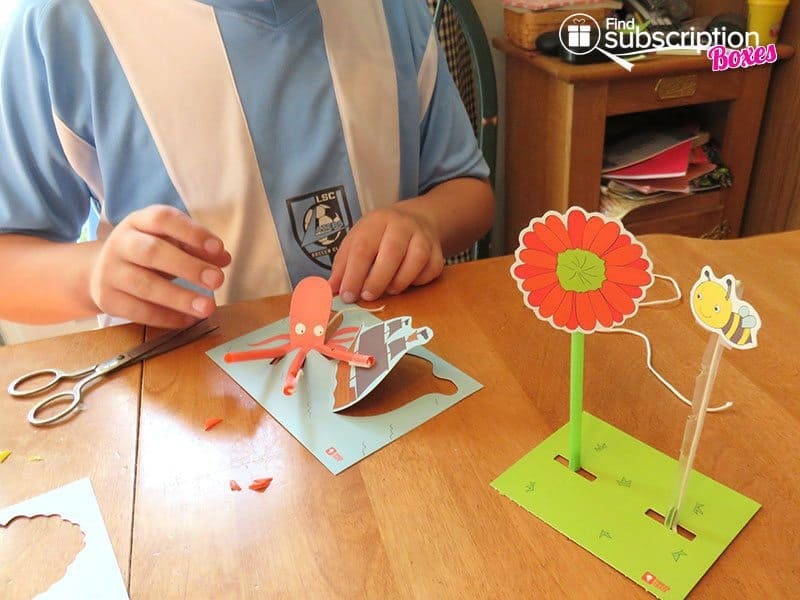 Brought to you by Kiwi Crate, Tinker Crate is a monthly subscription for kids, ages 9-14, that inspire kids to explore and learn science, engineering, and technology through fun projects and activities. 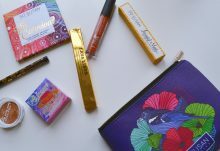 With today’s Tinker Crate review, our young reviewer is checking out the STEM projects in the Tinker Crate April 2016 box. This month’s Tinker Crate STEM project was the Biomechanical Hand. 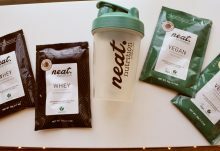 Tinker Crate included the materials and supplies our creator needed to make a hand. We only had to supply scissors. It was easy for our creator to assemble alone with mom only helping to ensure the knots were tight. The step-by-step directions were clear and there were no problems. There are video instructions available for those who like to see what to do rather than read directions. The hand worked fine on the first try with no adjustments needed. 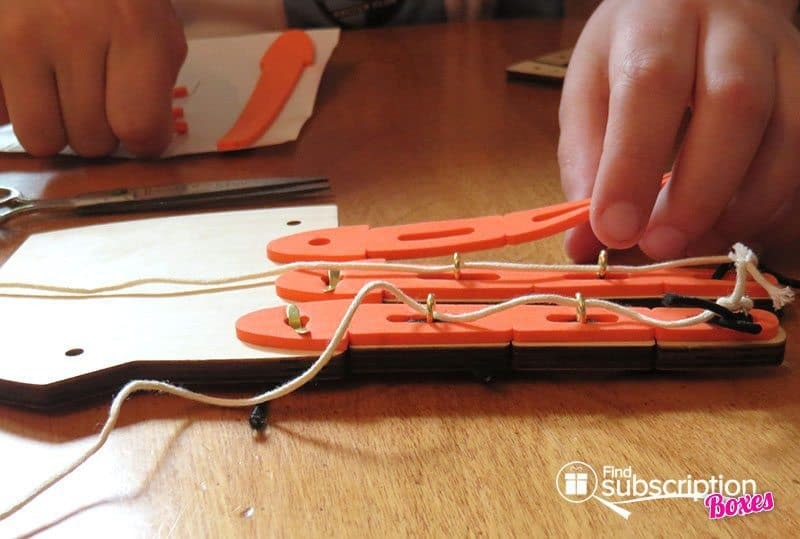 Here’s a video the Tinker Crate April 2016 Biomechanical Hand in action. 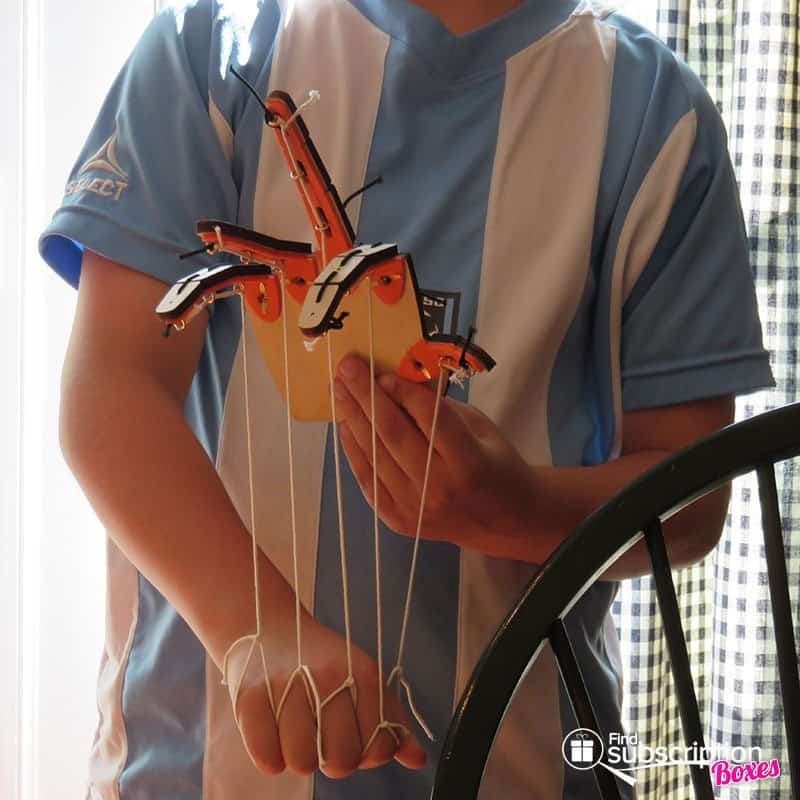 There’s a bonus project included in this Tinker Crate: Straw Puppet Set. We had to supply scissors and clear tape; the instructions are included. It was a quick project which uses similar biomechanics to make the straw puppets. 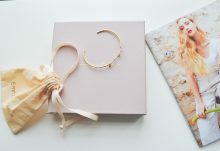 The Tinker Zine included in this shipment features a lot of educational science behind our hands: muscles, tendons, bones, and joints. The history of hand prosthetics, and the future of innovative science is covered, too. The STEM information is very interesting and age-appropriate. 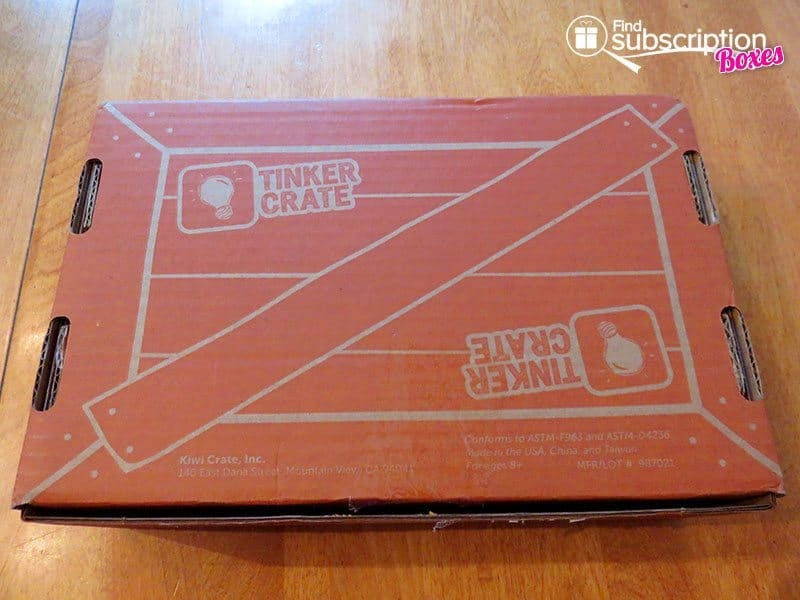 Our creator enjoyed this Tinker Crate. What did your creator think of April’s Biomechanical Hand Tinker Crate project? 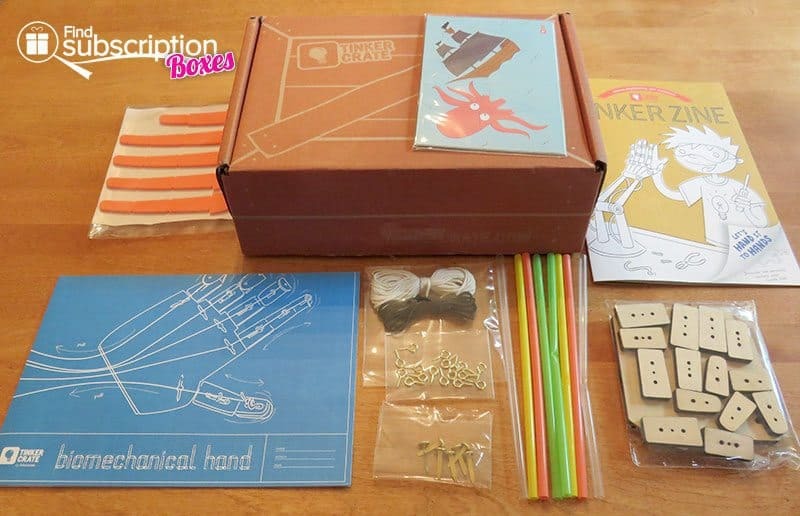 This Biomechanical Hand Tinker Crate is available as a single box purchase from the Kiwi Crate shop. 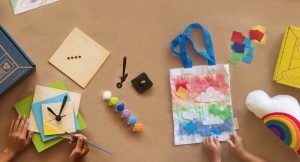 You can also save 30% off new Tinker Crate subscription with code SHARE30, and get fun STEM kits delivered to your door each month.